Work in progress - 20 minute version of an evening length performance. Caught in a flashlights beam, objects spill across the floor, specters float, and ghosts tip toe around a sleeping boy. 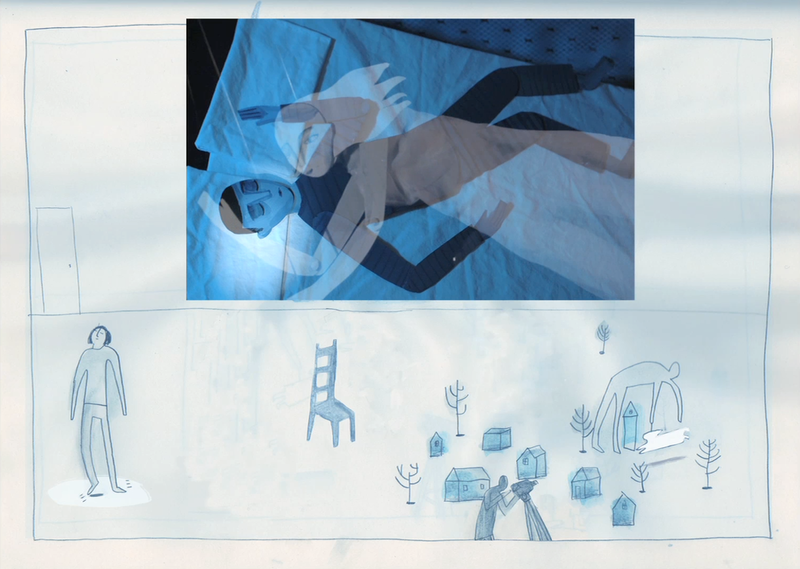 Shadows, miniature sets, stop-motion animation and puppets inhabit this chilling story. This is the story of a succubus. It's a true story. I woke up with the sheets tied around my ankles, he out of a dream where she had kissed him deeply. We both heard her bang around, slam the door.